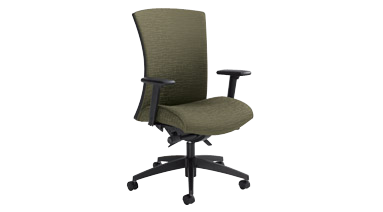 Independent, infinitely adjustable back angle and side-operated seat tilt tension control. High Back. Height and width adjustable arms with sliding arm caps. Terrace Fabric. Echo.